How Can I Exercise with Bad Knees? What's the Best Cardio for Someone with Bad Knees? What's the Best Exercise Machine for Someone with Bad Knees? Is Cycling Low-Impact on Knees? How do I Strengthen my Legs with Bad Knees? What Exercises should I avoid with Bad Knees? How Can I Exercise with a Sprained Ankle? Chronic knee pain, or pain after surgery, can prevent you from performing actions we all take for granted, like walking. Once the pain begins, it can also prevent you from completing the things that you need to do to improve your condition, including knee-friendly cardio. You might be thinking to yourself, "I'm afraid of the pain or possibility of further injury if I exercise." I can empathize. Doctors, therapists, and trainers would encourage both of us to go for it anyway. We need to keep exercises simple. They also need to be low-impact. Finally, our routines should avoid sudden changes of angles or range of motion that exasperates what is causing the pain to begin with. Health professionals consider cardio workouts a key to maintaining flexibility and strength in your knee and surrounding muscles. It is important, however, that your routine stays low-impact and doesn't you to move past your comfortable range of motion. Treadmills - Can take the place of walking and should absorb some of the impacts from your steps. Elliptical machines - Are low-impact and will help work the upper body as well. Stationary bicycles - are discussed further under the next question. They belong on this list, however. Not only is cycling low-impact, but it can also help you emulate running without placing your body's weight on your knee joints. You can adjust the gears (or resistance knobs on stationary bikes) to provide a workout without straining your knee or surrounding muscles. Cycling also offers you this range of movement and resistance without creating sudden changes in directions, something that can twist your joints and cause increased pain or further injuries. Trust me, taking the time for a few sessions with your physical therapist will do more than an apple a day in keeping you out of your doctor's office. If you don't have one, speak with your primary care physician, and they can help. This will help you to discover exercises that provide stretching and strengthening without agitating your existing condition. Stick with low-impact routines that focus on contracting your muscles. Avoid heavier weights and uncomfortable movements that cause your knees to hurt due to the direction they're moving. Younger adults (I'm only 28) or those recovering from surgery can push too hard while exercising. Sudden pains or pains that are sharp or shooting are telling you to stop. You'll want to focus on exercises that you can do while sitting or lying down. Bicep curls, chest presses, dumbbell rows, and seated trunk rotations are all appropriate until your doctor approves you to make use of your ankle again. Pilates is low-impact in nature and can be a good selection if you suffer from knee pain. Building your core can help with keeping pressure off of joints along with keeping things in alignment. Yoga is an excellent choice for improving your range of motion. That includes in the ankle and hip joints that are above or below your knee. These can offer you an excellent aerobic workout without adding too much stress to your knee joints. Upright bikes are great for providing more range during the exercise, as well as helping to work a bit of your core. Recumbent designs might be a suggestion for older users or those with balance issues. This type of machine does a good job of simulating jogging or running. It is low-impact, and won't stress your knees while maintaining a solid aerobic routine. They also let you work your upper body as well. This device will assist you in maintaining bone density as well as flexibility. The nice thing is, many manufacturers include special features that will reduce stress on your knees while working out. They are associated with cardiovascular workouts and exercise both the upper and lower body. However, they can be problematic for users with bad knees caused by non-muscular issues such as arthritis. Traditional jumping jacks can cause pain for those suffering from joint problems. Some alternatives are less stressful on your knees, including the low-impact version that follows. This uses half of the motion of standard jumping jack while it helps to eliminate the joint stress generated during the active phase. Use a med ball that weighs four to eight pounds for variance in your routine. Using proper exercises for people with bad knees can improve your mobility and might reduce your pain levels. If you are looking for some equipment to assist in your goals, don't forget to review my list of the best low-impact exercise equipment for home. 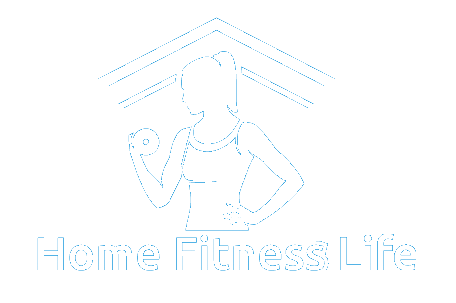 All content and media on HomeFitnesslife.com is created and published online for informational purposes only. It is not intended to be a substitute for professional medical advice and should not be relied on as health or personal advice.